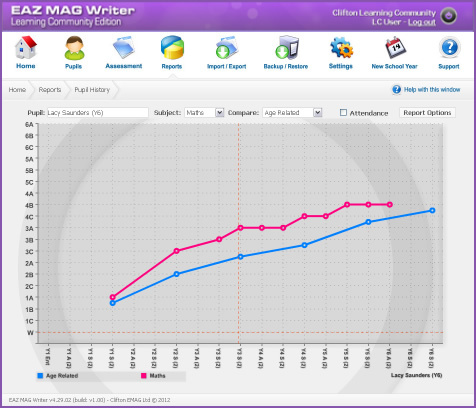 This online system complements our EAZ MAG Writer – Primary Edition in that it enables the user to analyse collective assessment data at a zone/learning community/cluster/family level, individual school level, key stage level, year group level and/or class level. At a strategic level, the user can also quickly filter this data via various groups/factors such as SEN, FSM, Pupil Premium, LAC, EAL, etc. 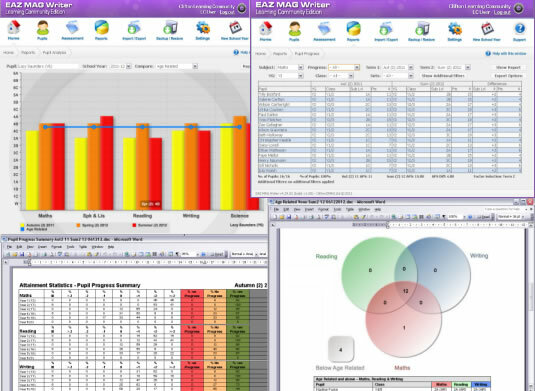 The system is designed to be used by clusters/learning communities/families of schools wishing to quickly view assessment data across their schools as a whole. The software was developed by the Learning Community’s ICT Development Manager under the direction of the Learning Community Headteachers, Deputy Heads Group and AST for Teaching and Learning. 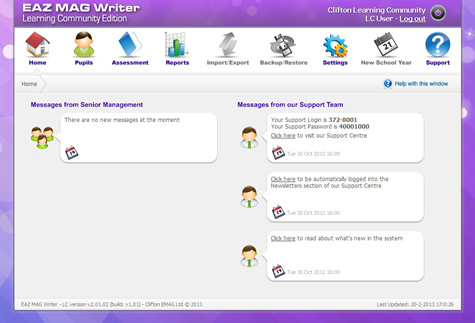 As a special introductory offer to all schools/settings, we are supplying the EAZ MAG Writer - Learning Community Edition system with initial setup support at a special discounted price.